Set the initial percentages of three types of parrots in a population and track changes in genotype and allele frequency through several generations. Analyze population data to develop an understanding of the Hardy-Weinberg equilibrium. 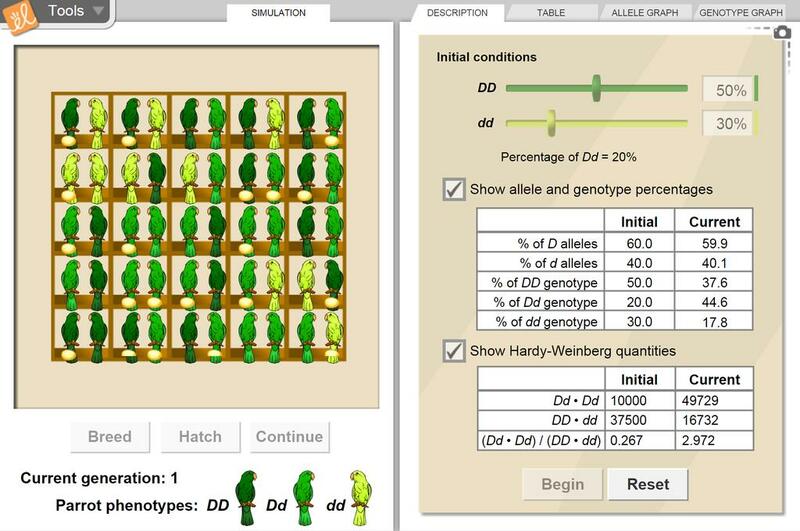 Determine how initial allele percentages will affect the equilibrium state of the population.